This year, as has been happening the last 10 years now, Apple is preparing to introduce the new iPhone.But at this point of the year, considering that the next iPhone will arrive later this 2017.Below we will see what will be the news that, so far, it is believed that the guys from the California firm could include in their next smartphone. What will the new Apple phone be called? According to what is believed, this year for the first time those of Cupertino could be preparing to launch three new models. Two of these models could be the classic intermediate models that we usually see between two generations, that is, the “s” model, so we would see the iPhone 7s and iPhone 7s Plus, 4.7 “and 5.5” respectively. In addition to these two devices, according to rumors, the most interesting model could be a third phone which could be dubbed “iPhone 8” or “iPhone X” , this being X 10 in Roman numerals, for the tenth anniversary. In any case, at least for the moment, it seems that the situation is a bit confusing as far as the numbering that will have the next phones that will present the boys of Cupertino. It is believed that Apple might be working at the same time on the iPhone 7s and the iPhone in August , along with their respective versions Plus; However, it is possible that the 7s is simply a project that they have prepared for the supposed case in which something goes wrong during the development and manufacture of the most ambitious iPhone 8. 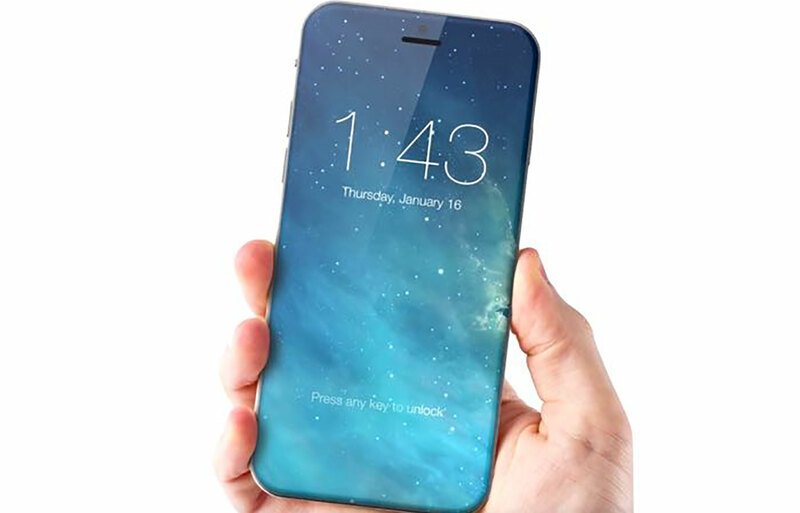 What will be the characteristics of the iPhone 2017? Both users such as analysts and investors expect the iPhone 8 to be a much more ambitious device than the iPhone 7s, as the latter should be identical to the iPhone 7 and similar to the iPhone 6 and iPhone 6s. Design: Starting with the aesthetics, the iPhone 8 should have a completely new design. This phone should have an edge-to-edge screen with very small edges, in the style of the Xiami Mi Mix, to such an extent that it could be the definitive disappearance of the Home button. The advantage of these reduced edges in the iPhone 8 could be the inclusion of larger screens, despite having casings similar to those of the iPhone 7 / 7Plus, allowing to reach up to 5.7 “or 5.8” diagonal in the models plus And the normal model with a diagonal that would go between the 5 “and 5.2”. Screen: The screens for the first time, should have OLED technology (iPhone 8 alone) and could be curved at the edges, as in the Galaxy di Samsung series; Something that will allow Apple to save space and weight, which will make the next smartphones will be lighter and thinner. Recommended Article: iPhone X vs Samsung Galaxy Note 8: which is better? The edge-to-edge display may make the Touch ID and the front camera disappear by integrating them under the same screen. This rumor has recently been confirmed by some of the most reliable sources. It is only necessary to know if the Home button will be integrated directly on the screen in a virtual way or if it will be placed on the back of the device or even if it will be included in the border. Sensors: With respect to the sensors, the California firm could be working on an alternative to Touch ID, is a technology that would have facial recognition to allow unlocking the device and even authorize the conduct of operations. Materials: The iPhone 8 could have glass on the front and on the back, just as we saw during the years 2010 and 2011 with the launch of iPhone 4 and iPhone 4s. In addition, according to rumors, these two glass panels will be separated by a metal edge that will replace the aluminum that has been used in the latest models. Recharge: The back of the iPhone 8 to be crystal could confirm one of the new features of this device, the wireless recharging. Apple could be thinking of a particular and unique method of recharging without cables. This new recharging system does not really need any cables and could charge the device battery, inside a room, even if it is several meters from the power supply; Something that until now we have only been able to see through different concepts. Resistance: The iPhone 8 should not only include wireless charging but should also improve the IP67 certification included in the iPhone 7 (which certifies its resistance to water and dust), passing certification IP68, which offer greater protection Against dust and against prolonged dives. Features: With regard to benefits, the iPhone 8 iPhone 7s probably should mount the new processor Apple A11. However, it is more complicated to know what the improvement will be on the A10 processor of the iPhone 7, but it is certain that the A11 will be a faster processor and surely more efficient, thus improving the autonomy of the devices. This processor, in principle, should be produced 100% by TSMC under a process of 10nm. The RAM of the device should remain unchanged, compared to the current generation of devices, ie 2 GB for the base models and 3 GB for the larger models. Touch ID: The Touch ID will also feature news, as well as being included on the iPhone screen 8, this should have a new technology that would make it faster and more reliable than current. The same thing would happen with the 3D Touch, as this should also be improved. Speakers: Regarding the sound, changes may not take place because the iPhone 7 model came with improved stereo speakers and volume, something that is unlikely to change in the iPhone in August. Camera: For the section of the camera, the most interesting could be related to the double camera, which, this time, should include an optical image stabilizer for both lenses. According to rumors, Apple could also modify the design of the dual camera, putting it vertically rather than horizontal. However, despite these changes, there are no improvements in the number of megapixels, although it could be possible to make 3D photos, something that we have already seen on iOS and other operating systems, thanks to applications Of third parties. When will Apple introduce the new iPhone 8? As for the release date of the iPhone 8 and the iPhone 7s, the next Apple smartphones could be presented during the month of September 2017, possibly in the week from 4 to 8. The global launch of the new devices should take place over the next two weeks. His arrival in Spain should be with the first group of countries. How much will the future iPhone of 2017 cost? As for the price, these should be similar to those of the current iPhone 7 and iPhone 7 Plus, which start at € 769 and € 909, respectively, for the 32GB versions. Also, my memory sizes should not be modified either, so they should come in 32 GB, 128 GB and 256 GB versions. In any case, we will have to wait a little longer to know for certain which models of iPhone Apple will present in 2017 .